Does renting make you feel a little too transient? Is community important to you? It may make sense to become a homeowner. Almost nothing can help you put down roots, be involved in your community, or serve as an automatic catchment for memories quite like owning your own home. If you aren’t convinced, read on. By the time you’ve reached the end, you may want to make memories, build community, and grow roots of your own. Renting may be a good fit for you, if you never want to stay in a place long enough to feel connected to it. This can make sense for a lot of people. However, if you long for a sense of place, a sense of permanence, buying your next home may be worth considering. A lease is just a contract to allow you to use someone else’s property to live in, provided you follow their rules. If you break these rules, you could risk eviction. If the landlord decides to sell, it could disappear entirely as even a housing option. The management company could change at the drop of a hat, without your consent, to the detriment of the quality of life in an apartment. Homeownership can be the foundation for other good things in life. It is often said that practice makes perfect. Practice is simply the act of doing something. The more you practice, the better you will become. To help build a community, participation is key. Owning your home is a great way to encourage this. It is often said that humans are creatures of habit. When you live in one place for a long time, you end up supporting your local community just by virtue of living in it. You will pay for goods and services, probably from local businesses. This has you reinvesting into your local community. When your own property value is affected by zoning laws, city policies, and neighborhood reputation, you are more likely to be motivated to influence these decisions. When your property taxes are paying for public education, you are directly invested in the quality and access of education for your community. When they are funding civic services like libraries and fire departments, you are making a difference in the quality of life and safety of those who live in your community. When you rent, your home is classified as a business, and your landlord is your one voice, whether you like it or not. Wouldn’t you like your housing expense to do more? When you own your home, you identify with your neighborhood, your neighbors, and your community. You will enjoy living among others who do the same. When everyone feels a sense of belonging to a place, everyone is more vigilant about any undesirable activity. If you like this idea, you can look for a home in a neighborhood with a neighborhood watch. Does your neighborhood have a park? Do you enjoy taking walks? These can create opportunities for connecting with your neighbors. Social connections and generosity are vital to being happy, and we know that people tend to reciprocate good will. In short, being an active good neighbor improves your quality of life, as well as the quality of your neighborhood, in more than one way. When you own your home, you are more likely to feel like the social investment is a good one to make. Life is made up of a winding sequence and collection of new experiences. Travel, discovery, and time out with friends are all part of this. Through it all, as Dorothy famously said, there is no place like home. Your home is yours, and it will reflect your own personality more and more, the longer you live there. Your photographs will hang on the wall, your souvenirs from your travels, gifts received, and all of your favorite things that make your house feel like home will be present. If you stay in one place for long enough, there will be memories made. This may not mean anything at first, but as life continues on, a forgotten corner will catch your eye, and a memory will rush in. The longer you live in the home you own, the more memories will be collected within its walls. While it’s possible to stay in a rented home for a long period of time, the cost to remain there will probably increase every year, if history is any indicator. The worst part about it is that it will never really be yours. Ready To Grow Roots, Build Community, and Make Memories Of Your Own? 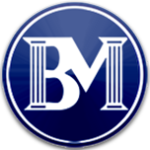 At Benchmark, we specialize in helping you afford to own your own home. We use our decades of professional experience to deliver the perfect loan for your unique situation. Find your Benchmark branch and contact them to take the first step towards planting your life today.Give us a call or contact us to make the first step towards planting your life today. At Benchmark, we’ve got your back.Give me a call, send me an email, or request a call today. Let’s get started on growing your own roots and memories.